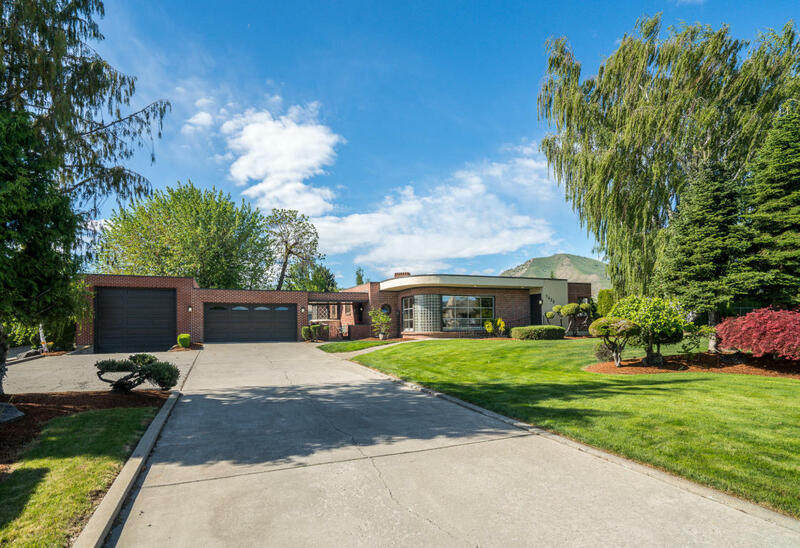 This mid-century modern home on a shy half acre with a 2-car garage & 35'x16' shop was featured in The Good Life magazine. Beautiful turn-key home w/ expansive birds eye maple wood floors & an abundance of windows spanning from nearly floor to ceiling, inviting the park like setting in. The large chef's kitchen has high-end stainless appliances & gas range, quartz, large walk-in pantry, & a light filled breakfast nook that encourages you to slow down for morning coffee. Quality built from the inside out, this home has limestone & brick exterior walls that drown out the outside world, 4 fireplaces (2 gas & 2 wood), sauna, 2 stairwells, an original hand-carved wood art centerpiece by Walter Graham, lovely outdoor patios, & mature landscape. Foothills School Dist.